All-on-4® dental implants, also known as teeth in a day, are a permanent solution to the loss of teeth, and the all-on-4® procedure is less invasive due to the reduced number of implants necessary to complete the procedure. Teeth-in-a-Day® is the answer to the loss of teeth, especially in the cases where the majority of teeth have been lost or damaged. All-on-4® dental implants are a safe, efficient procedure that replace traditional methods of tooth replacement like dental bridges or dentures. All-on-4® dental implants can be utilized to replace the missing teeth of your entire upper or lower jaw or to replace decayed and broken teeth. While traditional dental implants use a screw to secure each individual tooth, all-on-4® implants only use four or more screws to secure your implants, which leads to a quicker healing process. All-on-4® dental implants use four or more implants precisely planned using guided implant surgery with nSequence® software to anchor your entire set of teeth. If you are not a candidate for dental implants due to deficiencies in bone volume, you still are a possible candidate to receive teeth in a day. After receiving all-on-4® dental implants, you can treat these implants as natural teeth, with no worrying about teeth replacement options like dentures. Teeth-in-a-Day® is a procedure that uses permanent implants to restore your smile. What can all-on-4® dental implants do for me? The loss of tooth or teeth has many potential causes, ranging from periodontal disease, age, poor dental hygiene, and even accidents. At New York Oral Surgery and Dental Implant Center, Dr. Stein is able to place all-on-4® implants to replace your missing teeth in one procedure. This procedure is ideal for patients who have lost the majority or all of his or her teeth. Candidates with traditional dentures are also good candidates to receive all-on-4® dental implants, as most dentists are now recommending permanent tooth or teeth replacements, such as teeth in a day. 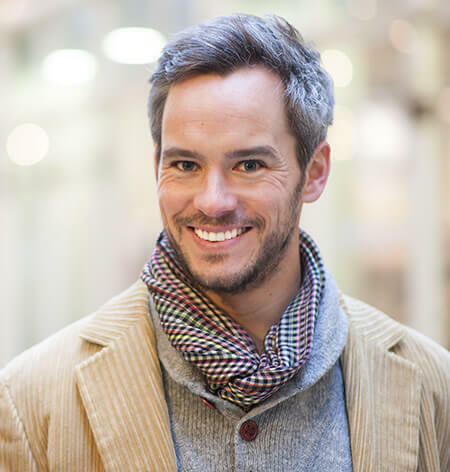 If you are missing the majority or all of your teeth, all-on-4® dental implants in NYC are a less invasive procedure that will provide permanent results to tooth or teeth loss. What should I expect from all-on-4® dental implant procedure? The all-on-4® procedure in New York takes Dr. Stein only one visit to restore your smile. The majority of planning is done prior to your visit, providing a smooth, efficient procedure. To begin, Dr. Stein will take a Cone Beam CT scan to fully evaluate facets of your jaw, like bone density or bone loss. Next, Dr. Stein will coordinate with your dentist regarding the final look of your planned replacement teeth and about your particular needs for your procedure. If you do not have a dentist, Dr. Stein can recommend one for you. It is possible that you may have to visit your dentist prior to your procedure to be fitted with temporary teeth or to further evaluate your particular needs for the most successful and natural-looking results. After this planning, a specialized laboratory will create a guided surgical template, which will allow Dr. Stein to place your dental implants precisely where they were planned using state-of-the-art Virtual Planning Software. This position then allows the laboratory to fabricate your temporary teeth that will be placed onto your implants the same day of surgery and complete your procedure with the most efficient, safe methods available. During the beginning of your procedure, any loose or unhealthy teeth will be removed. Dr. Stein will then securely place and fasten your all-on-4® dental implants. There may be 4 or more implants placed depending on your particular needs. After Dr. Stein performs the procedure, your dentist will come to Dr. Stein’s office and insert your temporary teeth. This set of temporary teeth will be worn through your healing process. After your gums and jaw have fully healed from the procedure, a set of permanent teeth will be placed at a follow-up appointment with Dr. Stein. Post-procedure healing time is minimal for all-on-4® dental implants, and some patients may even return to work or his or her regular activity the following day. For a few months (usually 4-6) after your procedure, your gums and jaw will heal and reach osseointegration. This means that your jaw and gums will slowly bond with your implants, forming a secure, healthy integration of your dental implants to your jaw. Dr. Stein will schedule a follow-up appointment six months from your procedure to complete your teeth in a day procedure. 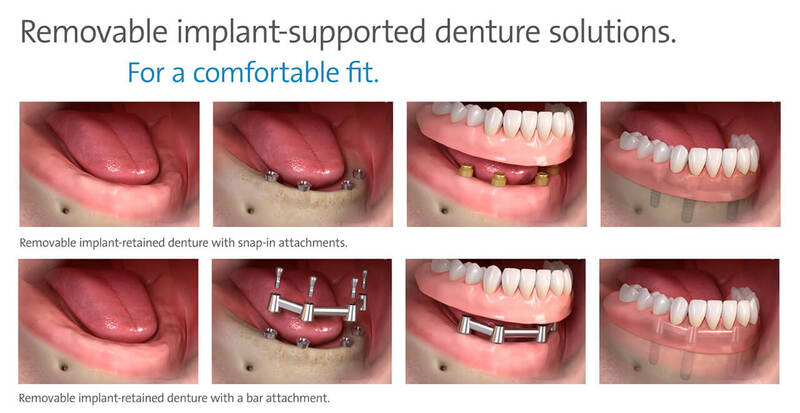 How do I get started with all-on-4® dental implants? Dr. Stein and his staff would be happy to discuss teeth in a day with you. Please call 212-888-4760 or schedule an appointment online to arrange for a private consultation at our office.